Diamond Accent Nature Charm Necklace Only $17.50! You are here: Home / Great Deals / Diamond Accent Nature Charm Necklace Only $17.50! Add natural beauty to any look with this diamond-accented charm necklace. This 18 inch necklace with spring-ring clasp features heart with tree cutout, flower & bird charms. 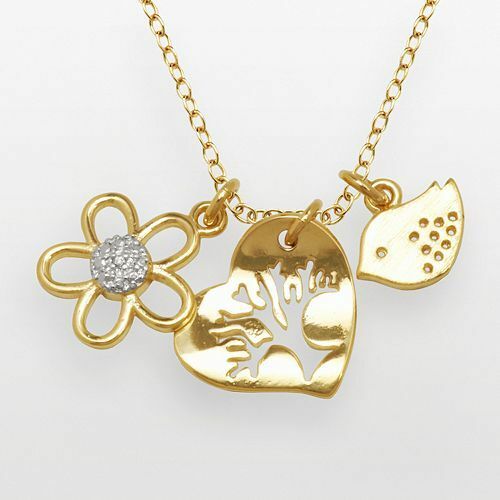 Get the Diamond Accent Nature Charm Necklace for Only $17.50! Don’t forget you can always ship to store if this is not available for pickup at your local Kohl’s!